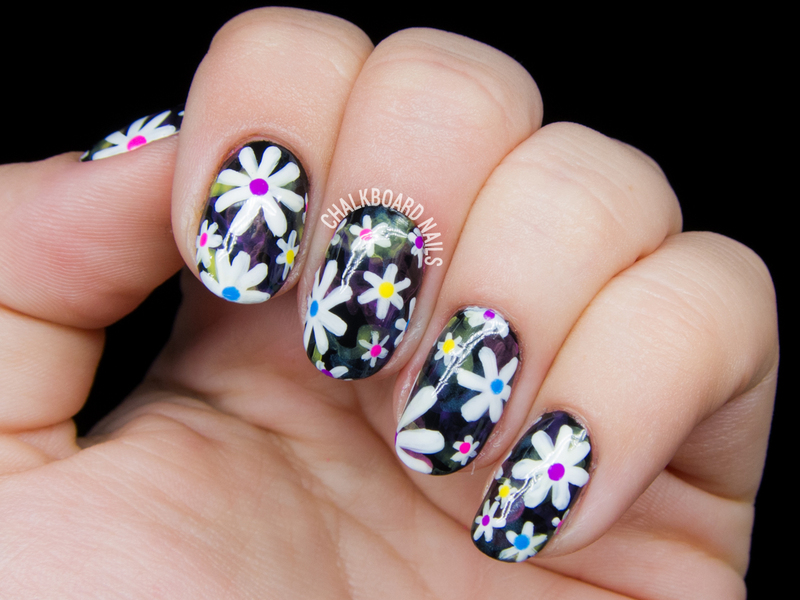 Floral print! I love a good floral and have been doing a lot of these varied-size daisies for clients lately. I decided to pop them onto a dark background with some smoky swirls of color and ended up with these electric daisies. I've never been to the Electric Daisy Carnival, but I imagine these would fit in there, too! I started by polishing my nails with two coats of Salon Perfect Oil Slick and letting it set. Next was the colorful smoky background. 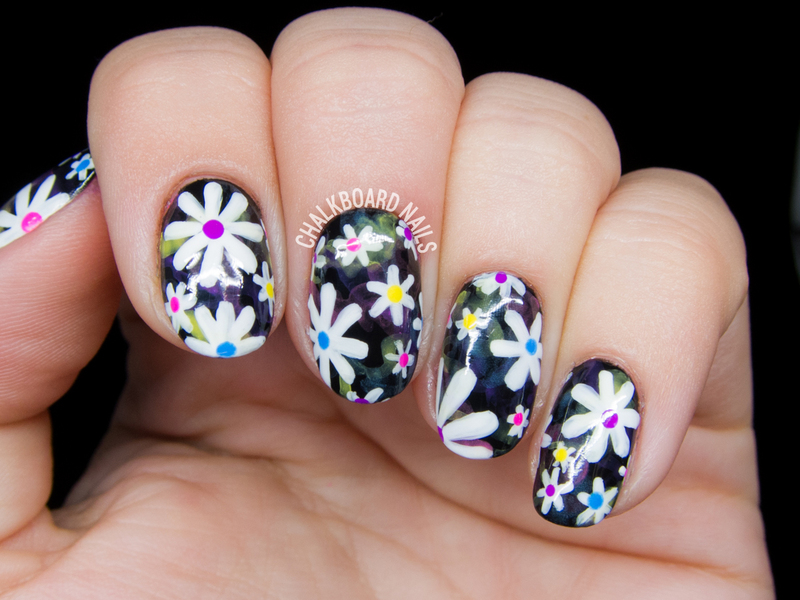 I mixed a few shades of Wildflowers Art Paints with some water to thin them out, then loosely brushed them on to my nails and let them dry. The shade I chose for this look are Kisses, Bright Blue, Pollen, and Pansy. I painted on the white daisies with Formula X White Matter, then added the centers with the same art paints that I used in the background. 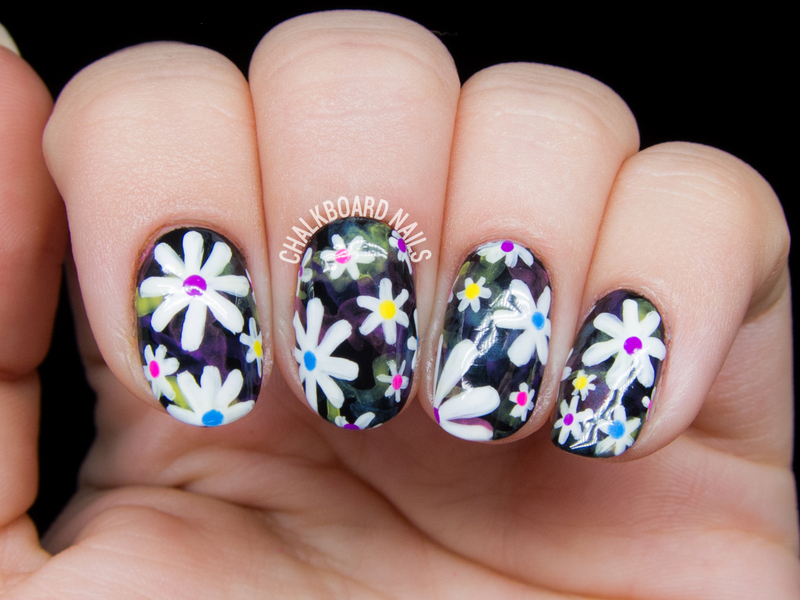 More floral prints for you!